The award-winning five-piece are writing a specially-commissioned piece of music ahead of the big event. 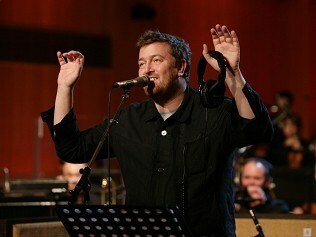 Frontman Guy Garvey said: "We are knocked out to be involved and it's been quite a challenge. "We have feelings of real responsibility as we will be the soundtrack to so many images of personal sacrifice and endeavour while the nation roots for and celebrates with Team GB." The band won the prestigious Mercury Prize in 2008 for their album The Seldom Seen Kid and were shortlisted again this year for new release Build A Rocket Boys!. The announcement of their involvement was made as the BBC unveiled its plan for the accompanying London 2012 Festival and the Cultural Olympiad. The corporation's plans include the Radio 1 Hackney Weekend, which is billed as "the BBC's biggest ever free live music event", a season of Shakespeare plays, and documentaries about artists including David Hockney and Lucian Freud. A series of films about London will feature contributions from Absolute Beginners filmmaker Julien Temple and Jools Holland, who will uncover the capital's history through its songs. Around 100 performers including Tinie Tempah and Florence And The Machine will take to the stage in front of an expected 100,000 fans at the Hackney weekend. BBC director general Mark Thompson said: "Coverage of the 2012 Olympic Games and the Cultural Olympiad represents the biggest single broadcast event in the BBC's history. "We want to bring this unique sporting and cultural celebration to every household in the land."